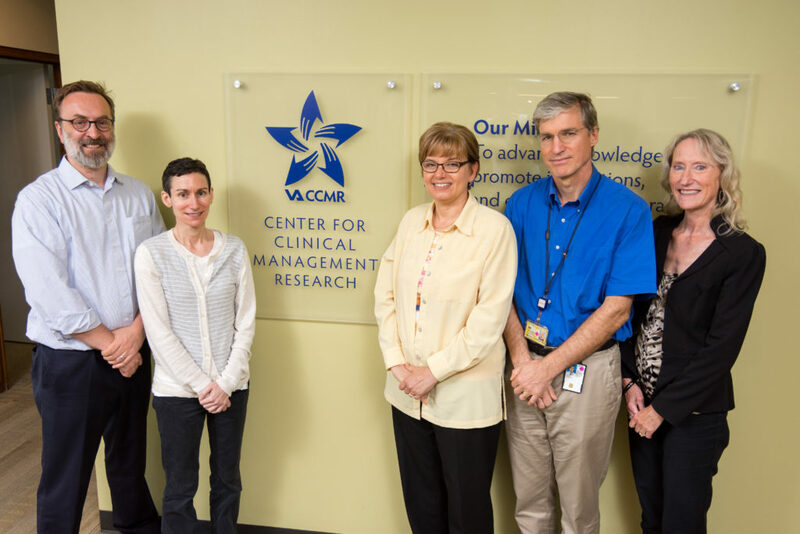 The unique combination of expertise, service mission, and supportive environment at the VA Center for Clinical Management Research (CCMR) allows their investigators to conduct research in cutting-edge health services and implementation. This collaborative, interdisciplinary work advances both science and practical solutions for the common–and costly–clinical management challenges facing our nation’s Veterans. improving patient outcomes with lower resource expenditures by engaging patients and their caregivers in self-management. CCMR and U-M investigators in the Center for Bioethics and Social Sciences in Medicine (CBSSM) have demonstrated the feasibility of using a machine-learning risk prediction model to identify patients at high and low risk for chronic hepatitis C (CHC). Such a model could be of tremendous benefit to VHA, given the large amount of resources currently devoted to pharmaceuticals for the treatment of CHC in Veteran patients. 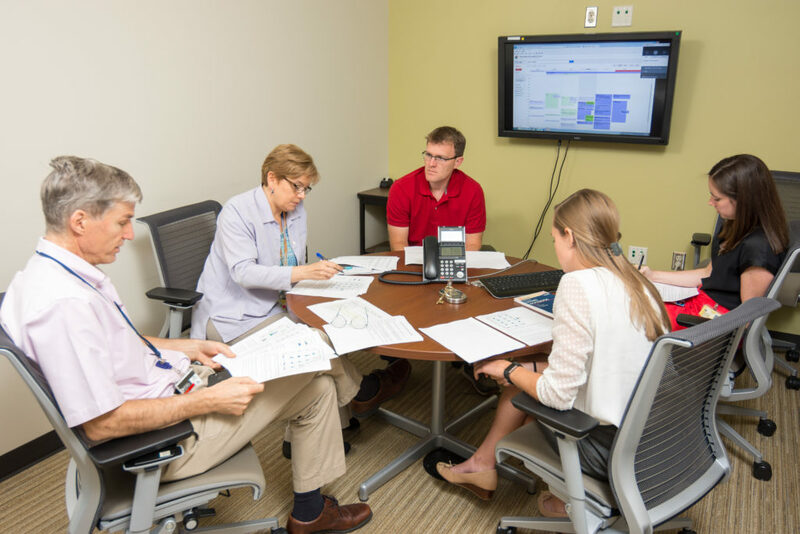 This past year CCMR received a four-year, $1.1 million grant from VHA to develop such a model for VHA patients, and to engage Veterans in determining how to implement risk-based treatment. Another collaboration between CCMR and CBSSM investigators has produced a web-based decision support tool for helping clinicians determine if a patient should get a screening colonoscopy, based on personalized risk and benefit estimates. This tool is being used as part of a VHA-funded study to promote patient-centered colorectal cancer screening among older Veterans with comorbid illness. CCMR investigators have also been working with the Center for Health Communications Research (CHCR) to develop, implement, and evaluate a web-based decision support tool to help VHA clinicians discuss the risks and benefits of lung cancer screening, based on a patient’s individual risk of developing lung cancer. One of the major challenges of treating hospitalized patients is enhancing their safety by promoting appropriate use of urinary catheters. CCMR investigators are part of the VA/U-M Patient Safety Enhancement Program, which received funding from the Agency for Healthcare Research and Quality to reduce catheter-associated urinary tract infections (CAUTI) in US hospitals. A study of the program, published this past year in the New England Journal of Medicine, showed that it is possible to reduce catheter use and UTIs, thereby reducing both suffering and costs. These results were achieved through a concerted effort in 926 units in 603 hospitals in 30 states, which provided training and tools for doctors and nurses, as well as feedback reports on performance. By the end of the 18-month program, UTI rates among hospital patients in general wards had dropped by one-third. Catheter use had also decreased. During the same time period, hospital-acquired UTI rates rose nationwide. CCMR research on improving the care of patients with mental health or substance use disorders includes efforts to address problems associated with opioid prescribing, especially non-medical use and overdose. One new study will evaluate the use of mobile technology to assess non-medical opioid use and pain level, and to deliver motivational messages. The goal of the project is to decrease inappropriate opioid use following a visit to the emergency department where opioids were prescribed for pain management. This study is funded by the Substance Abuse and Mental Health Services Administration (SAMHSA), and involves the collaborative effort of CCMR investigators and researchers from the U-M Injury Center, Center for Engineering and Patient Safety, and Department of Psychiatry. 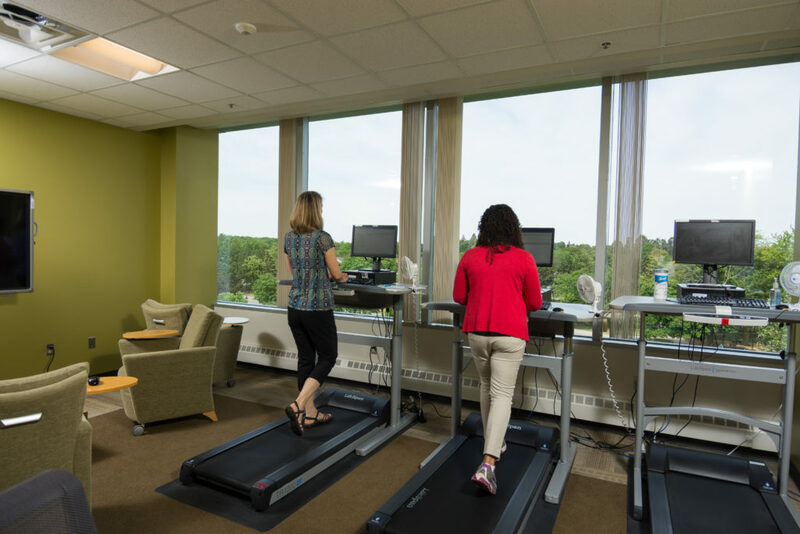 CCMR investigators participating in the QUICCC (Quality Improvement for Complex Chronic Conditions) partnership with U-M are conducting research on the use of interactive voice response (IVR) to collect data and provide feedback to patients and their caregivers, to encourage self-management of their chronic conditions. One of these projects is providing automated feedback to non-household family members or friends willing to act as “CarePartners” supporting patients in their self-management. 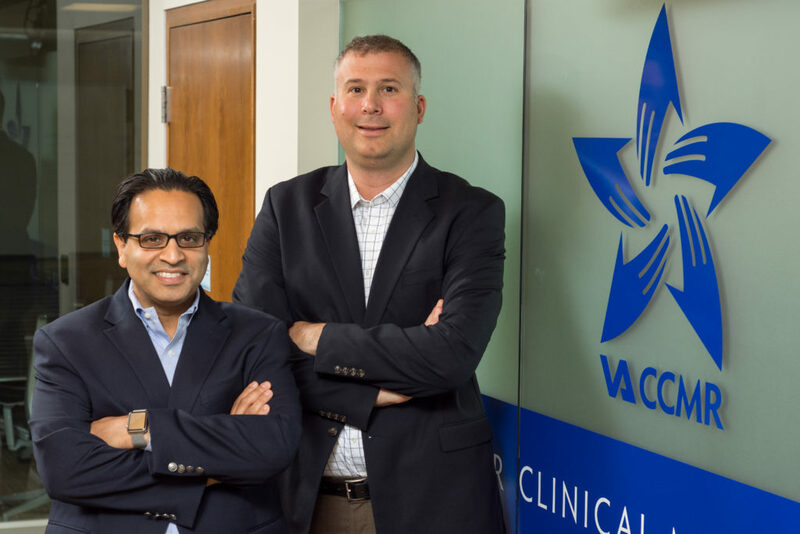 Another is using artificial intelligence to personally tailor a plan, based on patient data provided via IVR, to help patients with chronic pain manage their symptoms. 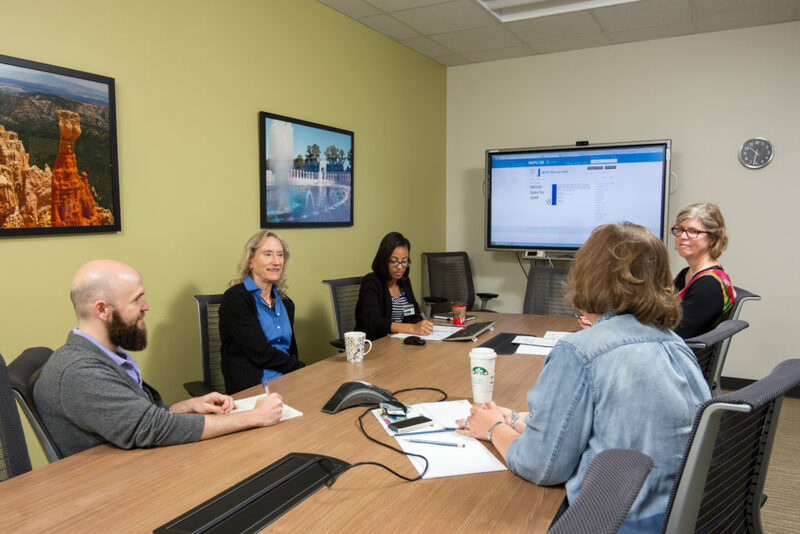 Another partnership with the Center for Health Communications Research focuses on optimizing patient-centered prostate cancer survivorship care through the use of personalized, automated telephone monitoring and self-management support calls, paired with tailored print material. The goal of this intervention is to help patients manage the sequelae of their prostate cancer treatment, including urinary and bowel incontinence, erectile dysfunction, and hormone imbalance. Health Behavior and Health Education. To learn more about what’s going on at the VA Center for Clinical Management Research, visit https://www.annarbor.hsrd.research.va.gov/.